We will welcome you at the airport and take you by an A/C coach to the hotel. You can check in and relax. Alternatively, you can enjoy the hotel facilities. Begin the day with a hearty breakfast. Then we will take you out to see the sights and sound of Chicago. The guided tour will show you around the following monuments:Wrigley Building, and Botanical Gardens on the South Side, Adler Planetarium, Shedd Aquarium, and Navy Pier on the North side. Lincoln Park, Washington Park, Grant Park and the scenic Outer Drive. We will also take you to The Hancock Tower where you can experience the open-air sky walk1,000 feet above ground. After treating you to a huge breakfast, will bid you goodbye and drop you off at the airport. Chicago must be one of the unique cities in the USA. Each part of the city has a different flavor, making it an experience to visit. The hustle and bustle of the waterfront district bears testimony to the fact that Chicago was once a thriving port city. This brought in many migrants whose culture makes the city landscape what it is today. One of the main attraction to a tourist today is the thriving music scene. Many of the legends of music have come out of this city. For architecture buffs, the city has many monuments like the Cloud Gate, the giant reflective bean sculpture found in Millennium Park. Its blend of old architecture with the modern skyscrapers, museums and nightclubs thriving side by side, the soul-searching Jazz and art scene, its blended cuisines, all this make it a city like none other. The prices stated are for 2 people and above. Singles will be charged extra. Visits to trade fairs, special events any additional activity will be charged extra. A child of 9 years and above is considered an adult and will be charged accordingly. The tour company reserves the right to change accommodation or mode of transport to a similar or better set, at any time. If you miss your breakfast due to your flight, this is not our responsibility. Intercity surface transport charges are not included in the package. Please take care of your own baggage. We are not responsible for it. We will not refund any part of the package for services which are not used e.g. : accommodation, meals transport etc. All prices and availability of the package is subject to change. Payment must be made in accordance to the terms and conditions. Chicago is fabulous. Once you reached there you never think about return back !!!. 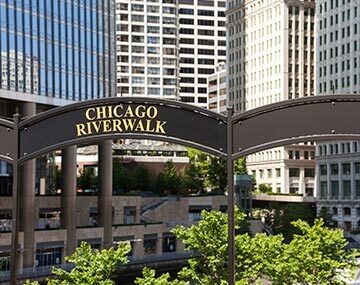 Lots of things are there to explore in Chicago, like the parks museums, thrilling rides, activities, dining, shopping etc..